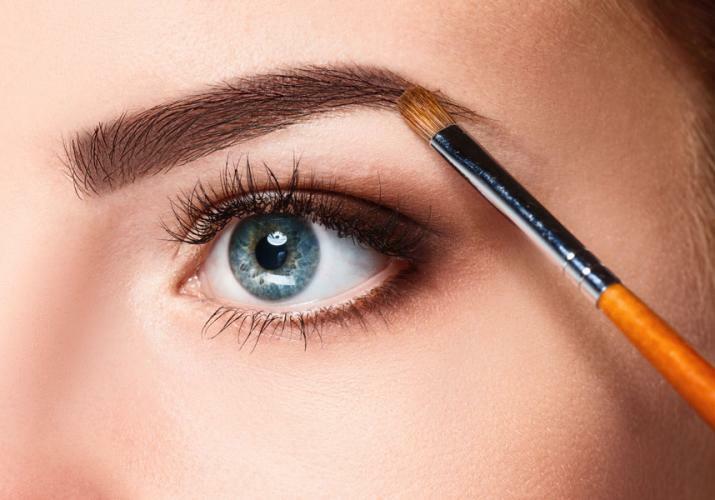 Beautiful eyebrows are about so much more than tweezing. If you’ve never had your eyebrows professionally shaped, spring is a great time to start, experts say. “Getting the right look for your eyebrows is an art. We customize brows based on the shape of your face, the thickness of your brow, and the look you want to achieve,” said Marcia Cotner, a franchisee for the European Wax Center in Middletown. All the sources for this story say that regular, professionally administered facials can often be the key to your skin care success, especially in advance of Derby. Professional facials are offered at Samuel’s offices, as well as beauty centers such as Massage Envy. They not only exfoliate and hydrate, but they can help plump and prepare your skin, getting it ready for other procedures such as chemical peels or laser treatments. And, of course, they can make sure your skin is up to par with your big Derby outfit reveal. For patients wanting to address the affects of aging without facelifts, facial injectibles like Botox and routine fillers have always been the go-to products. And while they are still good for temporary relief, Dr. Samuels said new non-invasive, non-surgical procedures can offer much better, longer-lasting results. Specifically, she recommends Sculptra, a technique that injects poly-L-lactic acid into folds and places that need filling, especially those around the cheeks and eyes, stimulating collagen response that lasts two to four times longer than other treatments. Profound, another procedure, uses micro-needling to deliver controlled radio frequencies, producing new collagen and elastin, for a retexturizing, tightening response that works for larger areas of the face and neck, often mimicking the results of a facelift. If you have pockets of fat that are resistant to diet and exercise, there is always liposuction. But Samuels said a new non-invasive option, the Ultrashape Power cool laser, can get the job done with around three treatments and a six-week window. The non-surgical regimen usually results in a 32-percent fat reduction in your target areas, she said. “The key,” Samuels said, “is to be proactive, and plan. Take care of your skin, use the right products and interventions, and you can not only look good on Derby, you can put off having facelifts done for years,” she said.